that means! Yep, it's time to see our newest releases! from our amazing Design Team! win a little Great Impressions Stamps candy! 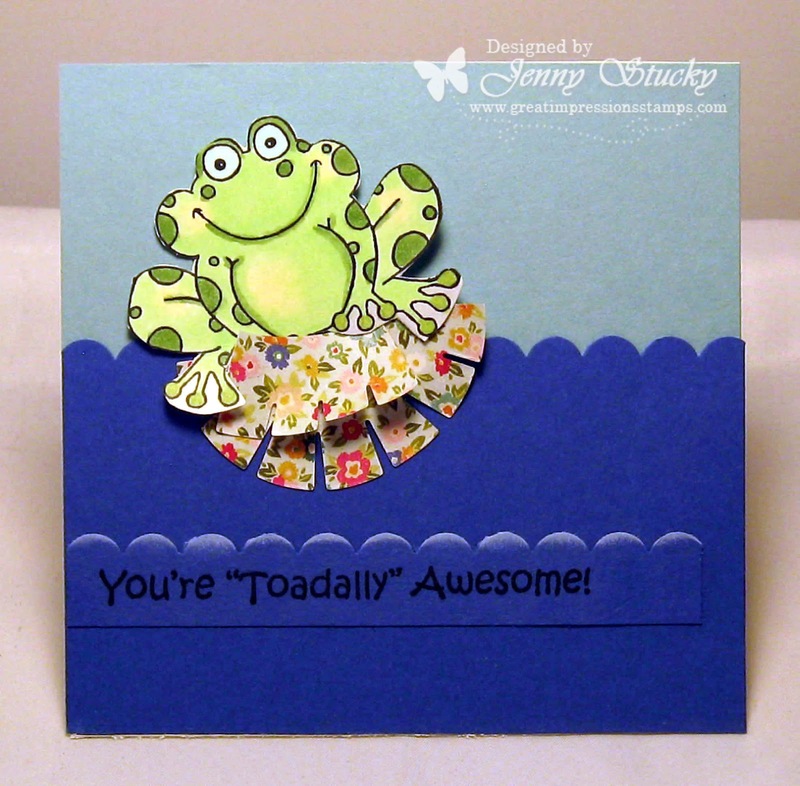 This is so darn cute and I love the way you used the die cut - very creative for sure!! What a great lily pad you made! Frogs always make me smile and this one is no exception...cute ideas! What a creative way to use that die, Jenny! What a happy toad! I like the water you made with the edger. Love this toad!!! Added to my wish list.